Michael Sheeran, a Jesuit scholar, wrote an excellent book on the history and present-day practice of Quaker decision-making, Beyond Majority Rule. In detailing the history of Friends business practice, he explains that in the very early Friends movement, most authority for discernment rested with individuals. There was a belief that each person could do a good job – perhaps even an infallible job – of discerning Christ’s word to them. However, after a number of disastrous, public blunders – particularly the Nayler Incident – Friends began to emphasize the importance of corporate discernment. The local church community became the primary authority for discerning God’s will. Friends in America followed London’s lead, and viewed the Yearly Meeting as the highest authority in decision-making. If a local Monthly Meeting was out of unity with a decision of the Yearly Meeting, the “superior body” (the Yearly Meeting) would be authorized to discipline the “subordinate Meeting.” This understanding of church structure and levels of authority seems to have continued until the 20th century, when the more liberal Yearly Meetings began to adopt a congregational polity. The Orthodox and Evangelical Yearly Meetings, however, have largely maintained the older sense of the Yearly Meeting as a centralized authority, governing the faith and practice of its constituent Monthly Meetings. While Jesus Christ, as we know him through his Holy Spirit, is our ultimate authority as the Church, this does not solve the question of how that sovereign authority is received and interpreted by fallible human beings. What person or group do we ultimately trust to discern Christ’s teaching for us today? For the Ranters of George Fox’s day, the individual was the ultimate judge of God’s will. For some today, it is the local Meeting. For others, the ultimate authority for discerning Christ’s guidance is the Yearly Meeting. I believe that all sources of discernment – individual, congregational and movement-wide, should be considered and taken seriously. Just as spouses submit to one another in marriage, I believe that we should submit to one another as members of the Body of Christ. Individuals should submit to the discernment of the local church, and the local church should submit to the wider body of Friends to which it belongs. And yet the higher bodies should take seriously the concerns of their constituent individuals and Meetings. When Christ speaks through the individual or through a local Meeting, the wider Church should submit itself to Christ’s ministry. That is the heart of authority as understood by Friends: Jesus Christ is present to teach us, today. With Jesus as the living Head of his Church, all of us – individuals, local Meetings, and wider structures, will hold together in him. Even when we become confused and fall into division, if we are steadfast in waiting on him, he will lead us into even greater depths of truth, love and unity. Yesterday, the March for Life descended on my neighborhood. Living just blocks from the Capitol Building, we see a lot of protests come through, and we generally do not pay much attention to any of them. However, I did take notice of the March for Life. It is a Roman Catholic youth rally that takes place every year around this time, which buses in thousands of children – mostly high school and middle school aged – to protest the continued legality of abortion in the United States. The stated goal of this rally is to end all access to abortion, regardless of circumstances. The March for Life defines human life as beginning at fertilization of the egg by sperm. I remembered that last year’s march had been quite a spectacle, with high schoolers running amok and Roman Catholic priests and monks clogging the streets, temporarily turning the capitol grounds into a carnival of Roman religiosity. I have been getting into photography lately, and it seemed like a good opportunity to take a few photographs. So, with the motivation of capturing some interesting moments on film, I spent an hour and a half observing the 2010 March for Life. In the face of the overwhelming numbers of Roman Catholic youth and clergy, a few dozen counter-protesters also gathered in front of the seat of the nation’s highest judicial authority. Most of them seemed to be college-age, some of them holding iconic NOW “Keep Abortion Legal” signs, others holding hand-made signs identifying themselves as political radicals. For my part, I was just there to capture images, not wade into the intense feelings of the demonstrators. This was naïve on my part. Despite my task-oriented mindset, I could not help but be affected by what I witnessed through the viewfinder of my camera. More important than what I saw was what I felt: The air was charged with conflict, energy, youthful enthusiasm and braggadocio. I myself did not know how to feel. Several times I prayed, asking the Lord, “What is happening here?” What did all this mean? I still do not fully understand what I experienced yesterday – watching hyped-up young people chant slogans and prayers, with little distinction made between the two. I felt the shock of hearing the name of my Lord and Savior being used by so many people as a battle cry, as a talisman to be brandished at those on the other side of a contentious public policy issue. I saw thousands upon thousands of those who claim to be serving the One whom I serve relating in a way that felt so alien to the self-sacrificial way of Jesus. Protests are often like this. I myself have participated in a number of demonstrations during my lifetime that have been possessed of a self-righteous spirit – an assurance that we were right, and “they” were deluded and evil. I am no longer convinced that these types of events, and the spiritual condition that they flow out of, are grounded in the Spirit of Jesus Christ. come to teach his people himself” was carried out from the Quaker strongholds in northern England to other parts of the British Isles, America, various kingdoms on the continent of Europe, and even into the Muslim world. Young men and women emerged from the fields and towns where they had grown up and, compelled by Christ’s call in their hearts, journeyed to distant lands whose languages they did not know. Wherever they went, the early Quaker missionaries announced the arrival of the King of kings, who overthrew all earthly pretenders to the Throne. They called attention to the Lord’s living presence through prophetic signs – such as burning their musical instruments, walking naked in the streets, and heaping burning coals on top of their heads. They preached the good news wherever they could find an audience – whether in the open air, in a crowded bar, or in a government-run church building where they faced beatings and imprisonment for interrupting the state-sanctioned preacher. One of the most powerful ways in which the early evangelists bore witness to Christ’s resurrection presence was through the use of pamphlets. During the turbulent years following Parliament’s execution of King Charles I, England was awash in written propaganda from a variety of religious and political perspectives. Print media was new then, and the early Friends took advantage of it to spread the word of God-with-us. Today, we as Friends in the English-speaking world are, in many ways, experiencing a drastically different context from the Valiant Sixty. We are not, at the moment, living in the kind of intense societal upheaval that characterized the first decades of the Friends movement; and we are not, in general, facing any real persecution for our faith. Perhaps relatedly, we are not – as a general rule – particularly committed to personal evangelism, publicly sharing our faith with the wider culture, or taking risky, prophetic action to witness to the love of Jesus Christ that we have experienced. How might we today be called to, as Fox put it, “let all nations hear the [gospel] by word or writing”? What might it mean to share the good news of Christ’s literal, teaching presence, both within our own culture, and in the wider world? The Quaker community today is overwhelmingly concentrated in areas of historical British influence – Kenya, the United States, the United Kingdom, Canada, Australia and New Zealand – with Central and South America being the only places where there are significant concentrations of Friends without an historic connection to the British Empire. Why have we as Friends failed to reach beyond the English cultural sphere? Is the good news that Jesus can be personally known, loved and obeyed unique to British colonial cultures? God forbid! Our faith as Friends is rooted in the belief that Christ’s presence and power is universal, transcending all national, linguistic and cultural boundaries. How, then, can we demonstrate the practical truth of our faith? How can we share this good, universal news of immediate relationship with Christ, both as individuals and as communities? There are signs that some Friends are experimenting with these new media. QuakerQuaker.org is an example of creative use of the online blogging community to draw together Friends and seekers to exchange ideas and develop relationships that can serve the Lord. Another recent, if still embryonic initiative is QuakerMaps.com – which, if further developed and cared for, could serve as a modest platform for outreach to non-Quaker seekers, as well as existing Friends. 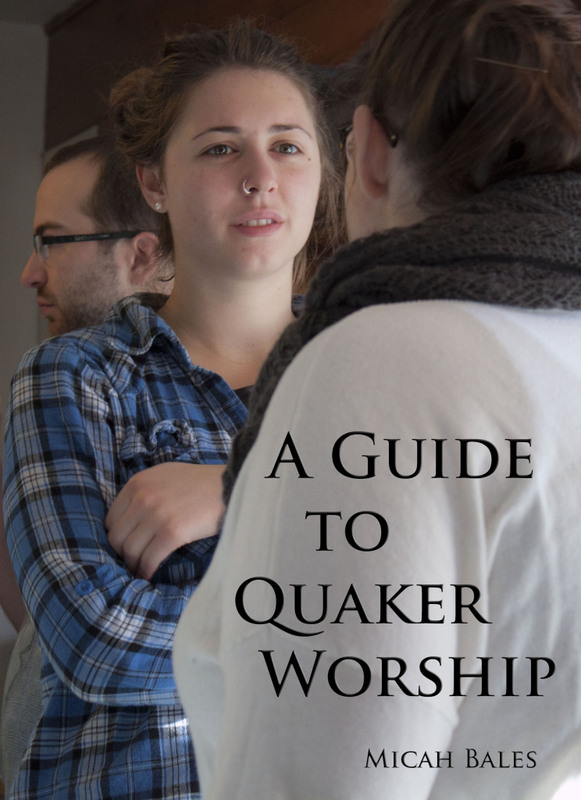 There are other sites that provide information about the Quaker faith, such as QuakerInfo.org, QuakerInfo.com, and Quaker.org. All of these sites are useful and have the potential to reach many Friends and seekers in the English-speaking world. But what about the other 95% of the world’s people? There are some signs of hope. For example, Spanish Quaker Luís Pizarro recently began publishing a blog, Cuaquero.org, that is intended to share the gospel message with the people of Spain. Yet, there is still so much that remains to be done. What if we placed an emphasis on training ourselves to be ambassadors to other cultures, learning another language and familiarizing ourselves with another culture? What if we made it a priority to share the gospel message online in every major language, providing resources for learning about Friends’ beliefs, practice, and how to set up a new worship group? Surely Friends already have the capacity to do this sort of outreach in dozens of languages. Are we ready to take the time and effort to live into Christ’s call to preach the good news to all people? 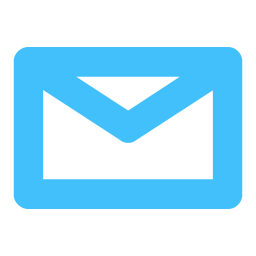 Do we still believe that we have received a message worth sharing? I recently read a sermon entitled, How Much Is Enough?, by Gordon Cosby, founder of the Church of the Saviour here in Washington, DC. The sermon, which dates from 1990, talks about the ways in which our lack of trust in God for our daily needs creates a barrier between us and other people in our lives – particularly between us and those in our society that are living on the margins – the homeless, the very poor, the outlaw. How can we, he asks, expect to imitate Jesus in his love for the poor and the outcast when our privilege makes us so uncomfortable around the very people that Jesus spent the most time with? Cosby’s questions convict me. Here in DC, I regularly encounter homeless citizens who linger in the places I frequent – on street corners and in parks, in front of the pharmacy and near the market. These folks serve as constant reminders of the material, social and other advantages that I have received, through no merit of my own. They also remind me of the injustice that my privilege props up; they, by their very presence, reveal my own complicity in the systems of oppression that allow our civilization to function. And I avoid them. When I see someone begging on the street, I walk quickly and avoid eye contact. If they do manage to break through my defenses, I am quick to say, “no, sorry.” I put on a smile, a facsimile of compassion, and I keep walking. To some extent, I avoid homeless and marginalized people because of the way they reveal my own privilege and complicity in oppressive systems; but my deepest reason for avoiding contact is that I fear that if I make myself vulnerable to the poor, they will take advantage of me. What is the next step for me as I seek to live more fearlessly into the reality of Jesus’ Kingdom? How am I to connect with Christ’s presence within myself, and within all of those whom I share life with? I think it will be important to open myself to relationship with street people, and others who make me nervous. I think that God calls me to make eye contact, to stop and speak with those who ask me for money, to get to know each person on a human level. I believe God calls me to step beyond the fear of being used, of being seen only as a pay day. Just as disparities of wealth make it hard for me to relate to the poor as brothers and sisters, I must see how these disparities make it hard for them to do the same. I cannot expect others to break through the social consequences of injustice if I am not willing to take the first step of treating others as if they were the Lord Jesus himself. If this means being treated like a meal ticket by those I am called to love, so be it – what is that suffering compared with what Jesus himself has carried? All of us, rich and poor, are suffering from the alienation that comes when we try to be self-sufficient. In our lack of faith, we try to play God, storing up the resources we need for the future, not trusting that God will provide for our daily needs. If we are to break out of the spirit of defensiveness and scarcity, we must truly believe that God will stand with us no matter what happens – we must believe that we are truly safe, in the most profound sense, in our Father’s world. At Capitol Hill Friends, we meet together on the second and fourth Wednesdays to enjoy a meal, read and discuss a passage of Scripture, sing songs, and experience an hour of open worship – waiting on Christ to come and teach us himself. This week, the Scripture reading was Acts 10, which details the conversion of Cornelius. Cornelius was a Roman Centurion, commander of a hundred men in the armies that brutally occupied Judea at that time. He was certainly a man to be respected and feared – not only by his men, but by the local Jewish population. And yet, Cornelius was a God-fearer: He was a gentile who believed in one God and observed some of the Jewish customs, but he was uncircumcised – not a Jew. Unwilling or unable to accept the high standards – and physical mutilation – of the Jewish law, Cornelius must have believed that he was forever barred from acceptance by the people of God. For all his power and status as a Roman officer, and for all his devotion and prayer, there was an insuperable barrier between him and his Creator. And yet, Cornelius did love the Lord. He longed after relationship with God, praying daily and giving alms to the poor, as was Jewish custom. It is during his prayers one day that an angel of the Lord appears to him. The angel tells him that his, “prayers and gifts to the poor have come up as a memorial offering before God,” and he instructs Cornelius to send men to Joppa to retrieve Peter, who was staying with Simon the tanner, beside the sea. It is significant that Simon was a tanner. Tanners were ritually unclean under the Jewish law, as they handled animal carcasses as a part of their profession. Furthermore, the process of tanning hides was dirty, stinky business, and it is no wonder that he would live on the outskirts of Joppa – by the sea. Nevertheless, Peter believed that Jesus Christ had the power to make Simon clean. Even though Simon was untouchable under Jewish regulations, Peter stayed with him in his stinky shack by the sea. Peter had come to accept that Jesus could make any Jew acceptable in God’s sight, even one who was ritually unclean like Simon. But there were still definite limits to Peter’s conceptions of Christ’s power. Peter still felt that he was a good Jew, a clean man, and Peter balks when God sends him a vision, commanding him to personally violate the Jewish purity laws. I can hear Peter now: “Wait a minute, Lord. It’s one thing to ask me to stay with this dirty tanner – but you can’t seriously expect me to break kosher!” But God was serious – so serious, in fact, that soon eating some creepy crawlies would be the least of Peter’s worries. When a Roman soldier and servants arrive in Joppa, Peter is shaken up enough that he obeys the Spirit’s command: He accompanies them to Caesarea, to the home of Cornelius. Finally, Peter gets it. God is inviting Gentiles to become part of the people of God! Even after the startling vision that God sent to Peter earlier in the day, I doubt he was convinced; to accept an uncircumcised Roman as a member of God’s household was still too much for Peter. But now, standing in the presence of this upright, God-fearing Gentile, God changes Peter’s heart. Peter preaches the good news of Jesus Christ to Cornelius and his household, and while he is still speaking the Holy Spirit descends on the gathered meeting. To Peter’s astonishment, those present began to speak in tongues and praise God. Peter’s world is turned upside down. No one can call unclean what God has made clean. The Centurion and his household – already baptized by the Holy Spirit – are baptized with water and become brothers and sisters in Christ with the Jewish Christians. The story of Cornelius demonstrates how the power of God can overcome those traditions in our society that wall us off from one another, hindering the flow of God’s love and justice. This story is particularly powerful in how it shows the power of the Holy Spirit to humble all of us, regardless of on which side of the dividing wall we stand. Peter’s change was in many ways harder. While Cornelius was well-aware of his own separation from the God of Jacob, Peter could probably trace his ancestry back to the patriarchs. He had grown up following all the rules, secure in the knowledge of his special status as a Jew. In order to respond to the new thing that God had done in Jesus, Peter had to overcome his entire upbringing, which told him that the Jews were a nation apart, forever separate. He had to discover that Christ’s grace is universal, available to all people, and uniting everyone in one love and life. When Cornelius knelt before Peter, Peter knew that he was unworthy of such veneration. Cornelius made him so uncomfortable with his reverence that Peter was forced to acknowledge their spiritual equality: “Stand up, I am just a man myself.” Cornelius, in his demonstration of faithfulness and Christ-like humility, opened the way for a reconciliation between Jew and Gentile. Peter was set apart by birth as an observant Jew, and he was personally chosen by Jesus himself – the rock upon which Christ would build his Church. Yet, none of this made him any better than an unclean Gentile who sought earnestly after God. Peter had to embrace that which the Holy Spirit blessed, though it toppled his whole worldview. We at Capitol Hill Friends have been like both Cornelius and Peter. All of us at some time or another have felt beyond the scope of God’s love; we have felt unable measure up to the holy, God-fearing lives we feel called to. At the same time, each of us has had moments when we judged others, deciding for ourselves that another person or group was beyond our concern, outside of our responsibility and love. And yet, the Holy Spirit can overcome all of our feelings of unworthiness and judgment of others. The rule-defying love of Jesus humbles and embraces us all as we come to acknowledge his lordship in our life as a community. Through his living presence, we become one people, despite all our differences. The road that we are called to walk together will not be easy. When we are in the condition of Cornelius, we will be called to change as we come out of the law that condemns us and into the beautiful grace and forgiveness of Jesus Christ. In those times that we find ourselves in the condition of Peter, we will be prompted by the Spirit to let go of our spiritual pride and selfish hording of God’s love. Jesus stands at the door and knocks: He longs to embrace us, if only we will humble ourselves and open the door. I pray that we may be like Cornelius, who worshiped God despite his profound sense of unworthiness and separation. Lord, let us be like Peter, who allowed his spiritual pride to be nailed to the cross of Christ. Help us to live into a radical life of love and freedom in Christ’s Kingdom, though we know it will turn our lives upside down. The president of the United States called on the American people to take a moment to honor those killed and wounded in the recent assassination attempt on Congresswoman Gabrielle Giffords, asking us to observe a moment of silence yesterday, at 11:00 am. My wife, Faith, and I heeded this call by inviting those we knew in DC to join us for a brief time of prayer, to ask that God’s peace rest on this disturbed nation. We pray for the families of those who have been wounded or killed by this brutal act. May God send the consoling presence of the Holy Spirit to shelter and comfort them in this time of terrible evil. We pray for those who have died – that they may find peace in the arms of their Creator. We pray for those who are wounded. We pray for the doctors, nurses and surgeons who are entrusted with caring for them in this time of urgent need. We lift our prayers in particular for Gabrielle Gifford, who has suffered a severe brain injury. We pray for God’s healing power to reach out and grant miraculous and full recovery to her, and to all of the survivors. On the face of it, I really like this video. I fundamentally agree with pretty much everything Mike Slaughter says. He’s right that we need to get serious about being disciples of Jesus rather than just striking a pose on Sunday mornings. I agree that the pseudo-gospel of “accept Jesus and go to heaven” needs to be challenged; and he’s right that our words are meaningless unless they are accompanied by transformed lives. Mike says a lot of good stuff that I can unite with. However, as the video ran, I began to feel convicted: Something is amiss here. A couple of phrases really stood out to me. The first was when Mike talked about us being, “part of a movement that changes the world…” I was convicted of how big I like to talk sometimes. In my joy and enthusiasm, I am apt to run ahead, ready to make declarations about how I am going to change the world. As Jesus noted long ago, this is an easy way to miss all the change that needs to happen within my own heart. (1) The world is indeed in awful shape – but why am I so quick to assume that I am part of the solution, rather than a perpetrator of sin? When I open myself to Wisdom, I see that my own life is on the front lines of the struggle for change. I am humbled, seeing the world I want to change – with its greed, fear, pride and violence – reflected quite clearly in my own life. Changing the world must begin within. The other part of Mike’s sermon that struck me was when he talked about the Church being “effective.” Hearing this, I was convicted about how limited my own conception of effectiveness is. When I place my focus on how to be effective, I often lose sight of the things God might be calling me to that do not seem very effective to me. When my primary goal becomes obtaining certain outcomes, I have moved beyond faithfulness and have put myself in God’s place. As my friend Tyler Hampton has pointed out to me, the focus on being able to deliver results reflects how entrenched humanist market values have become in the thinking of the Church. Growth in church membership, number of people fed and clothed in church missions, Bibles translated and distributed, the quality of the music in our services – all of these things are important. If they become our primary focus, however, we have missed the mark. We have adopted a consumer model instead of a Kingdom model. Of course, we want to be part of a movement that changes the world; we want to be effective. This is as it should be. We should seek to glorify God with our lives, having a positive impact on others. But when “results” become more important than waiting on Christ’s guidance and obeying the immediate promptings of the Spirit, we have made an idol of our own understanding. And make no mistake – our claims about “what Jesus would do” are often little more than cover for our own selfish desires. This should be easier for Quakers to accept than for many Christian groups. We have generally been on the margins of Christendom – frequently persecuted by the wider Church, and, with a few exceptions, rarely permitted to wield much power. And yet, this transition will challenge us, too, because we have grown comfortable and respectable. We share most of the assumptions of the wider society, and as our culture becomes more secular, more focused on products than on people, we will be greatly tempted to follow suit. If we want to stay true to the Lord Jesus, we must embrace our powerlessness. We must allow God’s power to shine forth in our weakness, just as Christ did during his self-sacrificial life on earth. How do we begin to accept the reality that we are weak and uninfluential? How can we embrace our place as a Church on the margins – not only in rhetoric, but in fact? What new opportunities can this afford us to truly be the Church of the Crucified Savior in a broken world?